"BMI The Clementine Churchill Hospital in Harrow, Middlesex is part of BMI Healthcare, Britain's leading provider of independent healthcare with a nationwide network of hospitals & clinics, 15 hospitals and treatment centres in London, performing more complex surgery than any other private healthcare provider in the country. Our commitment is to quality and value, providing facilities for advanced surgical procedures together with friendly, professional care. BMI The Clementine Churchill Hospital provides services to adults and children from 3 years of age. The hospital has 141 beds with all rooms offering the privacy and comfort of en-suite facilities, satellite TV, Wi-Fi and telephone. The hospital has five theatres, an endoscopy suite, a level III Intensive Care unit and offers a self-pay, walk-in Emergency Care Centre, open 7 days a week, from 8am - 9pm. These facilities, combined with the latest in technology and on-site support services, enable our consultants to undertake a wide range of procedures from routine investigations to complex surgery. This specialist expertise is supported by caring and professional medical staff, with dedicated nursing teams and resident medical officers on duty 24 hours a day, providing care within a friendly and comfortable environment. 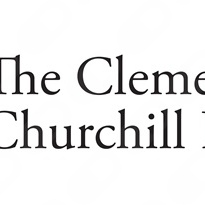 Click here to see the full range of services offered at BMI The Clementine Churchill Hospital." I took my aunt to Ealing hospital and she was seen by Dr Parijat Bhattacharjee. He immediately put my aunt at ease and explained the procedure she had to go through very well and in detail. Very professional and a very pleasant doctor. I was very impressed with him. I had my hysterocopic surgery at Ealing Hospital with my husband and I can promise you that he is one of the best doctor we have ever seen. He was so friendly and always with a smiley face. I had a previous experience of this surgery with a different doctor but it was so complicated and painful. So I was scared to do it all again but Dr. Parijat Bhattacharjee explained it so well before the surgery which made me to come out of the fear and even during the surgery he has kept us well informed of what procedure he had been doing and continuously checking whether it’s painful. To be honest the overall surgery was painless which I couldn’t believe it. Dr. Parijat communication skills are so high and an experienced top consultant who i have never come across in the UK before. Visited Mr Chadwick for a minor surgical procedure (to remove a lump on my shoulder). Found him to be an excellent surgeon and comforting person, extremely neat job at stitching up the cut. Would definately recommend. Listens attentively and does not jump to surgery as first option.